“The Real Wine Fair” is a two day wine event celebrating artisan growers who work with minimal intervention in the vineyard and the winery. 150 growers and winemakers will be pouring and presenting their wines to consumers, wine trade professionals and members of the press. 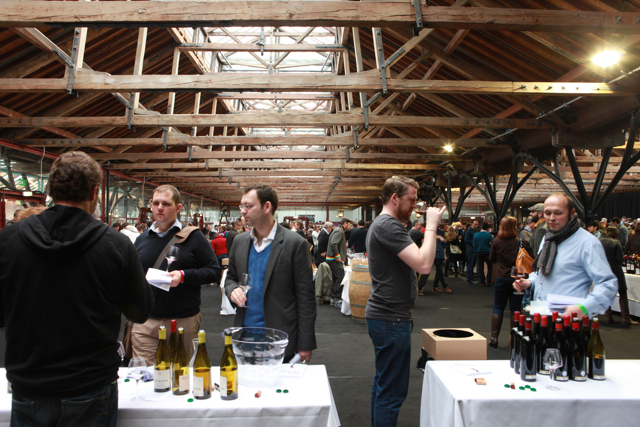 The 2016 event will once again be taking place at London’s historic Tobacco Dock in Wapping, on Sunday 17th & Monday 18th April. Growers have now been confirmed from France, Spain, Portugal, Italy, Austria, Germany, England, Georgia, South Africa and Chile. 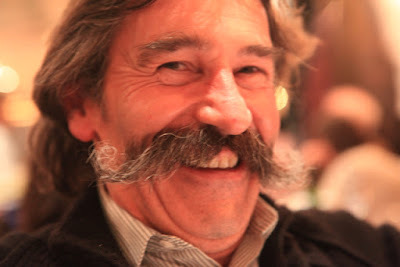 The initial ranks of French growers have since been swelled by such Loire movers-and-shakers as Thierry Puzelat, Jo Landron, Pierre Breton and Thierry Germain, whilst our Roussillon contingent of winemakers includes Tom Lubbe (Domaine Matassa), Marjorie Gallet (Domaine Roc des Anges) and debutant Jean-François Nicq (Domaine des Foulards Rouges). We are delighted to welcome back a number of Real Wine Fair stalwarts including Pierre Frick, Hervé Souhaut (Domaine Romaneaux-Destezet), John Bojanowski (Clos du Gravillas), Luc de Conti (Château Tour des Gendres) and Marc Penavayre (Château Plaisance). Italy is once more extremely well represented with over 30 growers from 10 regions. From the foothills of the Alps to the cusp of Africa, from Piemonte to Sicilia, we’re presenting a fantastic selection of producers who embody the very best of the artisan winemaking throughout this phenomenally diverse country. We are pleased to have a record representation from Spain and Portugal with growers from Ribera del Duero to Rioja and from Penedes to Priorat, plus some lesser-glimpsed regions such as Alicante and Vinos de Madrid. Recent inclusions to the roster of producers are first-timers Massimo Marchiori & Antonella Gerona (Partida Creus) and Joel Chavallaz (Sao del Coster). On the home front of The Real Wine Fair, two organically-run English estates will be exhibiting their wines. Davenport Vineyards, owned and run by Will Davenport on the Kent/Sussex border, will be showing the new vintage of the Limney white as well as a sparkling blanc de noirs and a terrific new red made from Pinot Noir. Albury Estate, based near Dorking, will have their rose and a sparkling wine on display. The Real Wine Fair always showcases the exciting and unusual, and the growers all have their stories to tell. Where else can you find under one roof a Harslevelu from the Swartland, a Chilean Carignan from a wild forest vineyard, a Sicilian red blend fermented in a traditional 250 year old palmento, or a pet nat from Vermont, not to mention literally dozens of skin contact wines of various hues and styles and almost as many made in terracotta vessels! 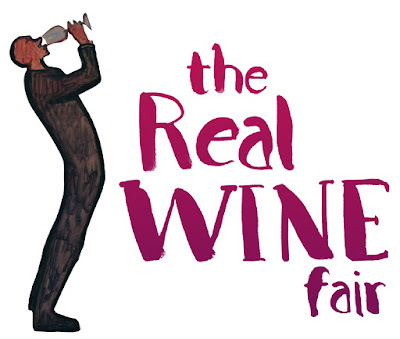 We are delighted to announce that The Real Wine Fair has a brand spanking new website. Visit us at www.therealwinefair.com to buy tickets and find information about The Fair itself, partners, exhibitors, promotions, events and much more! You can also visit us on Facebook and Twitter.